Many homeowners get a huge amount of satisfaction from renovation and DIY projects of all sizes, in and around the house. Adding that personal touch and expressing our own unique tastes are one of the main motivators behind home DIY. 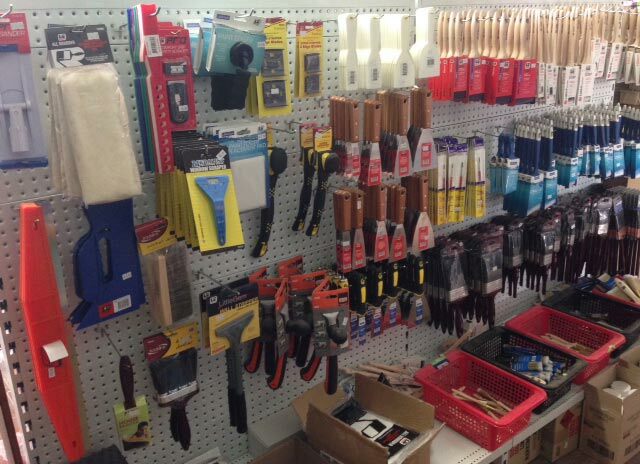 The expert team at Garlick’s H Hardware is eager to help customers with all of their home renovation supplies. We have a wide range of products available, and offer branded tradesmans power tools from manufacturers like Makita, as well as a budget range of products. If all that hard work wears you out, take a look at our range of camping gear, with options available for both the enthusiast and the camping novice. Our knowledgeable team is proud to consistently offer our customers the best possible advice. Our satisfaction comes from helping the valued customers from our community achieve the best possible results using our products and services. Our friendly, helpful team is fully experienced in all aspects of hardware and construction material supplies. Don’t forget to visit our garden supplies area at the back of the building, which includes pots and seedlings. WE ARE CONFIDENT THAT WE CAN SUPPLY ALL THE RENOVATION SUPPLIES AND CONSTRUCTION MATERIALS YOU NEED FOR YOUR HOME IMPROVEMENT PROJECT. CALL US TODAY ON 02 6543 2139.